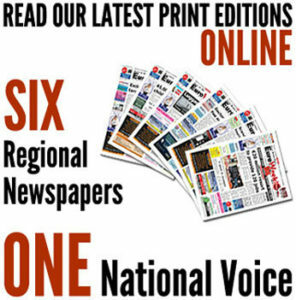 After working around the world, British journalist David Baird and his Dutch wife Thea moved to a Malaga village in search of “the simple life”. That was in the 1970s. Today David recalls: “We didn’t realise our education was just beginning. 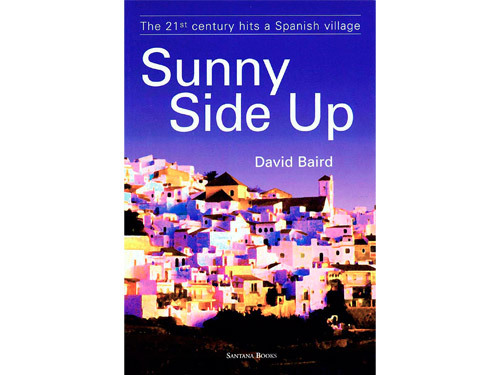 Romantic innocents that we were, we had little idea of the society into which we were plunging.” Sunny Side Up – The 21st century hits a Spanish village, David’s account of his experiences, differs from most expat writings. It gets under the skin of a rural community as it shifts from a medieval life style into the computer age. The book, just re-issued in a new edition under the Maroma Press imprint, looks at what really goes on behind those white walls and describes it with irony and affection. There’s passion here, but there’s also pathos. There’s humour, but also an insightful dissection of local ways, as well as a wicked glance at expatriate eccentricities. It may read like fiction, but it’s all fact. A blind beggar who rides a motor-bike, a woman cured of disease by visions of the Virgin, a phantom who terrorised a village — they’re all there, along with a host of other colourful characters. “Baird’s ironic glance back over the past 30 years is recommended reading for anybody who has ever wondered what happened to ‘the real Spain’,” notes a Sunday Times reviewer. David’s other books include the documentary Between Two Fires — Guerrilla war in the Spanish sierras and two works of fiction, Typhoon Season and Don’t Miss The Fiesta!